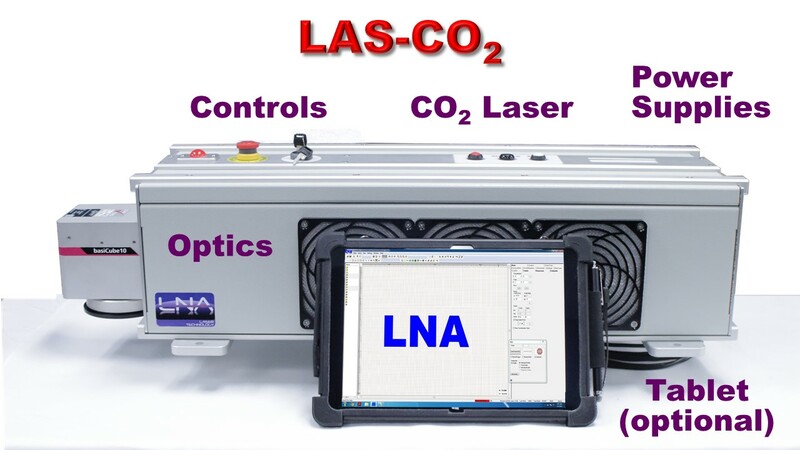 LNA Laser is pleased to announce our latest laser etching and laser engraving system, The LAS-CO2. 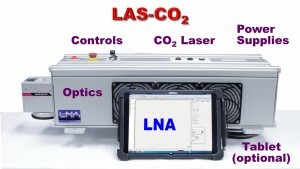 CO2 lasers are the laser of choice for marking organic materials such as, wood, leather, cardboard and other packaging materials, coated metals, glass and many plastics. The LAS-CO2 is an industrially designed system in an all-in-one aluminum and steel package. It includes a 30 Watt air-cooled sealed laser source, integrated control hardware, power supplies, beam delivery optics, red aiming beam and high speed, high precision galvo scanning head. The LNA marking software is intuitive with a powerful variety of features. You can import a wide range of image files-vector or raster. It has its own text editor and the ability to generate one-D or two-D barcodes with serialization. The system can be manually operated or integrated into factory controls through, serial, digital I/O or PLC. The LAS-CO2 is incredibly fast, marking over 100,000 decorative marks per hour in the packaging industry.